Sam will be the invited musical guest at this month’s Junk Show in Los Angeles. This long-running monthly variety show is one of LA’s hot tickets, with comedians, filmmakers, animators, storytellers, musicians and more. 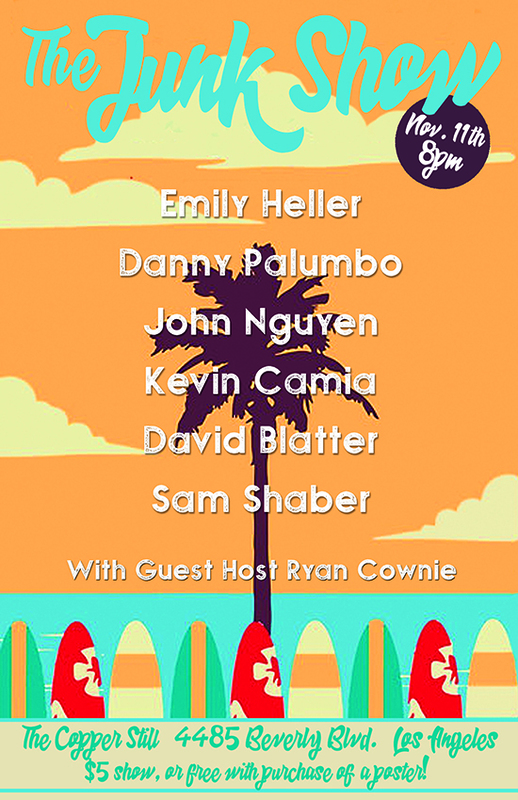 Sam will be joined by comedians Danny Palumbo, Johnny Nguyen, Kevin Camia, David Blatter and Emily Heller. Tix $5 at the door, includes a silkscreened poster.